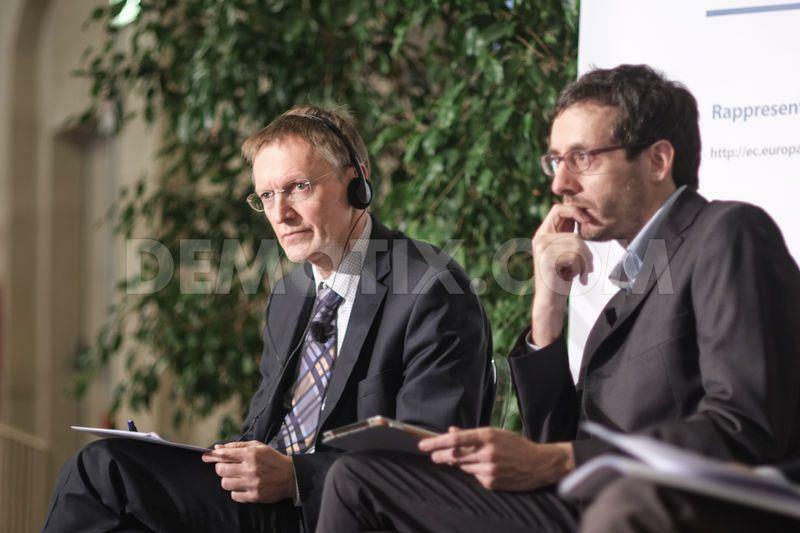 As we anticipated a few days ago, I (acting as the coordinator of Greening USiena) participated to a public meeting with European Commissioner for the Environment Janez Potočnik last friday. The initiative, which took place at Stazione Leopolda in Pisa, focused on the challenge of achieving a sustainable use of resources within the European Union, and was aimed (like other similar events that occurred in Naples, Rome and Turin) at encouraging a mutual conversation between EU institutions, citizens, students and associations of the member states on different issues which are seen as key ones for the future of Europe. Several topics were touched during the 2-hour debate, such as the need to abandon our current model of development if we are to meet the challenge of a sustainable society, the shortcomings of the industrial production of goods (including the urgency for longer life-cycles, better waste disposal and so on), the relationship between EU environmental policies and global sustainable development, green chemistry, rural areas’ role in globalization and, obviously, the short circuit that exists between the ongoing economic crisis, green investments and the protection of ecosystems. There was, however, a far-reaching (yet underrated) hurdle which kept recurring through all the talks, as it did not consist in a conceptual issue, but rather in a methodological one: the negative impact of member states’ positions on Europe’s environmental legislation. Indeed, while on one hand the meeting was falsely reassuring (in the way that all such initiatives are, provided that their goal is to inject public opinion with some sort of confidence towards european institutions’ pursuit of common good, despite the fact that they usually involve simple Q&A sessions), on the other it looked extremely helpful and effective in stressing how sometimes (thanks in part to the ongoing economic crisis) we end up misrepresenting the sources of Europe’s recent (and endemic) woes. In other words, as Mr. Potočnik put it (and as we often seem to forget), the European Commission’s role merely consists of proposing legislation, not adopting it, the latter being a power that pertains to the Council of the Ministers and, sometimes, to the Parliament. 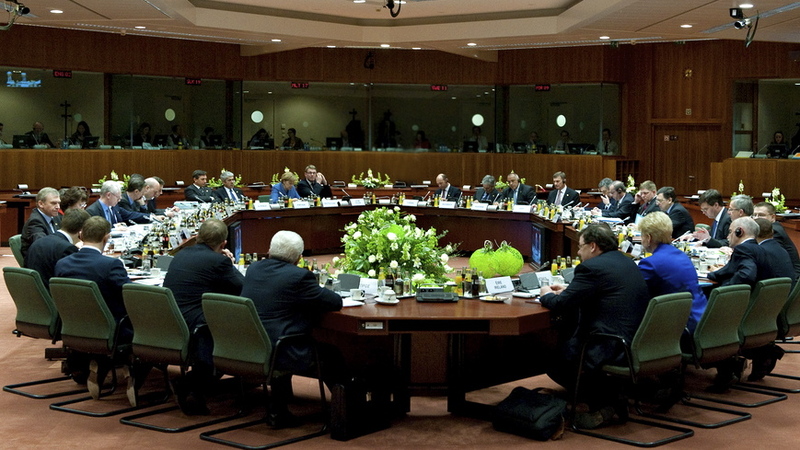 So, if we are to find a guilty, maybe we should start cleaning up our own houses by thinking to how member states (i.e. our native countries!) have long mismanaged the opportunities that the EU membership gave them and to how they are now blocking crucial progress on several environmental issues in the name of parochial interests. Examples of this behavior, some of which surfaced during the meeting, are countless: from Italy’s chronic delay in the implementation European directives (such as in the case of common waste treatment’s rules) to UK’s veto on a recent proposal which aimed at banning the agricultural use of neonicotinoid pesticides, which have been proven lethal to bees population, going through the ferocious battle that continues to surround the debate on Common Agricultural Policy and Common Fisheries Policy‘s reforms, Europe’s fading influence on international climate change talks (not to mention its failing Emission Trading Scheme) and, last but not the least, a general lack of willingness to encompass sustainability policies into economic development as a way of changing a seemingly rock-solid paradigm of growth. I am not going to comment in deep on those matters, since it will probably take more than an op-ed to do so, but nevertheless I believe that the given picture portrays the nature of the problem quite well: the Commission, which here and there has tried to do its best on many pressing issues (historically, it even was one the first institutions to be vocal about the shortcoming of Western model of development), has basically no power if member states decide to dodge reasoned arguments and embrace domestic interests instead. This is why very good reform proposals are constantly watered down when they reach the Council, and this is also why -in Mr. Potočnik’s words- Commissioners must usually avoid adopting bold commitments when they know that such measures will surely be rejected by a sufficient number of countries: considering that every state has its multitude of lobbies (most of which are enterprises that receive EU subsidies but don’t want to invest in sustainable practices in return), domestic interests, political gains to make, it is easy to see that environmental regulations come at a heavy cost most of the times. In the end, if we want to address Europe’s woes (not only in the environmental field) we must realize that the Union is strong as long as its member states are credible, implement environmentally-sound national policies and then brandish them in order to lead on the international level. That is, we must look in the mirror and ask ourselves why ‘green’ governments which do so are nowhere to be found.